Please join us for a lecture with artist Caroline Woolard. contexts of circulation. Woolard builds sculptures for barter only as she also creates international barter networks that continue to grow; she fabricates model Shaker housing and she also convenes organizers of community land trusts. OurGoods.org and TradeSchool.coop from 2008-2014, Woolard's organizing work is now focused on BFAMFAPhD.com, a collective she founded that uses both data and installation art to advocate for cultural equity, and the NYC Real Estate Investment Cooperative that exists to create and support truly affordable commercial space in New York City. 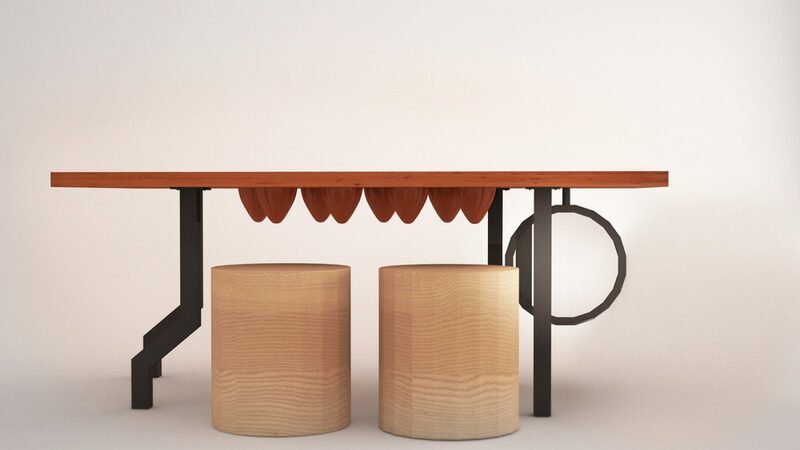 While making infrastructure, Woolard furnishes gathering spaces with objects that are as imaginative as the conversations that occur in those spaces. Caroline Woolard’s work has been supported by residencies and fellowships at MoMA, the Queens Museum, the Judson Church, the Rockefeller Cultural Innovation Fund, Eyebeam, the MacDowell Colony, and by unemployment benefits, the curiosity of strangers, her partner, and many collaborators. Recent group exhibitions include: Crossing Brooklyn, The Brooklyn Museum, New York, NY; Maker Biennial, The Museum of Art and Design, New York, NY; and Artist as Social Agent, Cleveland Museum of Art, Cleveland, OH. Woolard’s work will be featured in Art21’s New York Close Up documentary series over the next three years. Woolard is a lecturer at the School of Visual Arts and the New School, a project manager at the worker-owned design firm CoLab.coop, and is a member of the Community Economies Research Network and the board of the Schumacher Center for a New Economics. Caroline Woolard’s artist statement is here. For more information, click on WORK, go to an upcoming EVENT, or read some WRITING. You can also listen to a talk, search flickr and the news, or sign up for the mailing list. Oxbow forced me to create, and by creating, I established foundation for my thought. Oxbow gave Will a voice and a community. Under the nurturing attention of his wonderful teachers, he learned that he had the intellectual capability to express himself and that his unique point of view was, in fact, an asset.